The Adventures of Cassie: Brrrr! It has been a little cold this last week. The lowest it got on my car's thermometer was -22, and that was without the wind chill. 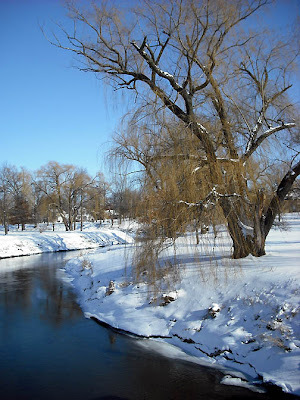 This is the Kishwaukee River, I took it on my walk to class on Tuesday. On Wednesday morning, it was completely frozen over. All this cold weather has had me knitting and weaving like a madwoman. 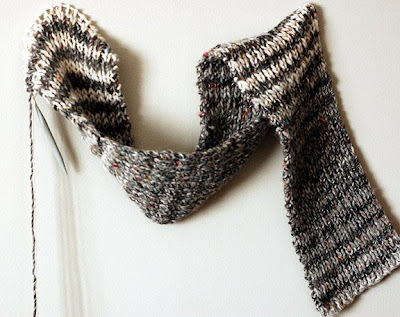 My favorite project has been this scarf which is turning out really well. It is going by very quickly, which is good because I really want to wear it! 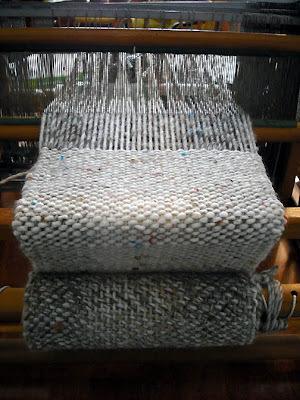 I'm weaving a scarf from the same yarn (ModaDea - Tweedle Dee) and it is about halfway done as well. I'm still spinning as well. 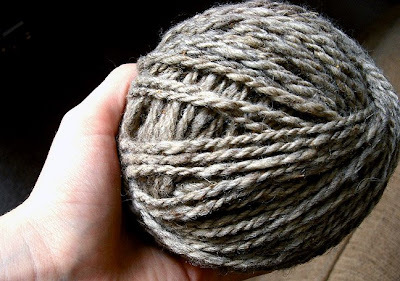 I want to spin enough of my llama fiber to make a sweater. I'm in the process of looking for patterns, but I'm thinking of just winging my own pattern instead.... The cold weather has also prompted my amazing sense of style. 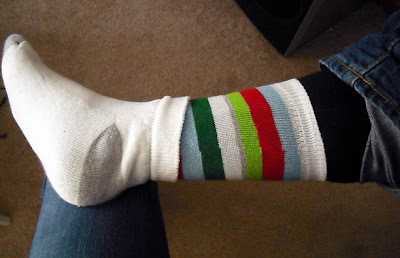 Take note: Jeans + Leggings + Christmas Socks + Nate's Socks = SO UGLY, but warm! Oh the sacrifices we have to make for warmth. I hope you have all found some more fashionable ways to stay warm! Hey, how much does a weaving machine like yours run for? Are they a lot cheaper than lower-end spinning wheels...or comparable?